Explain the factors that impact the implementation of AESS. Describe how to identify and specify AESS in the contract documents using the category method. Discuss the expectations of fabrication and erection of AESS under the 2016 AISC Code of Standard Practice. Define methods for efficiently achieving AESS quality with relation to budget and schedule. Identify available resources for additional information when applying AESS on upcoming projects. Expressing the structural integrity of a building is both a meaningful and impactful message in architecture. 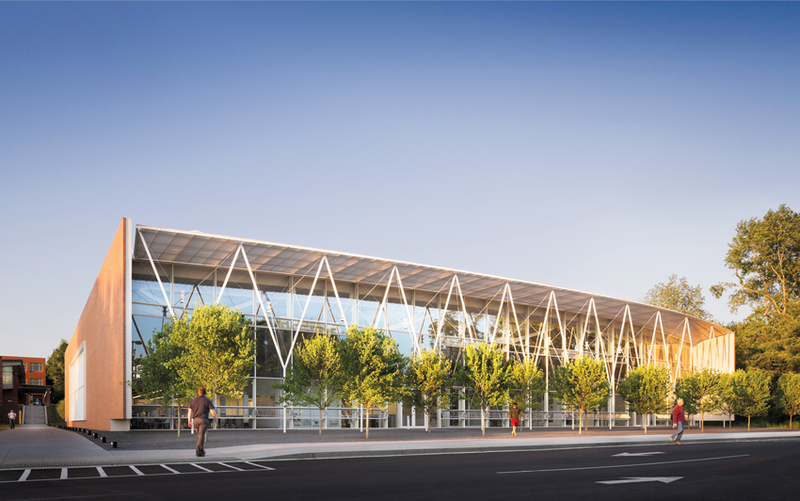 Today, many architects integrate architecturally exposed structural steel (AESS) in their designs to give identity and recognition to a building. Diligent coordination must take place among the design professionals and contractors to achieve a higher degree of finish desired for the structure. It is understood that these efforts are no simple task. New guidelines have been published in 2016, on behalf of the U.S. structural steel industry, to streamline the process of communication and documentation. In this course, design professionals will learn the tools to achieve their design and construction goals with a new category system for AESS. Structural steel has long been recognized for its flexibility in member shape and size, durability of material, and high strength-to-weight ratio. Since the 1980s, AESS has become more widely used and continues to grow in popularity by providing architects and engineers with a common medium for building design and expression. 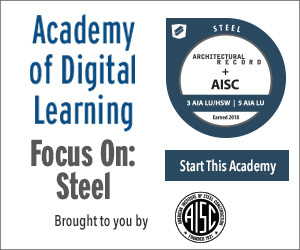 The American Institute of Steel Construction (AISC), which establishes the standards for steel construction in the United States, bases its guidelines on accepted industry practices. Since 1924, the AISC Code of Standard Practice has provided acceptable standards for contracting structural steel among owners, architects, engineers, general contractors, fabricators, detailers, and erectors. Lee Hall III at Clemson University incorporates AESS as an educational example of elegantly expressing the method of support for the building with the steel structural system. Slender “tree columns” draw attention to the building exterior, acting as feature elements that create an identity with purpose. 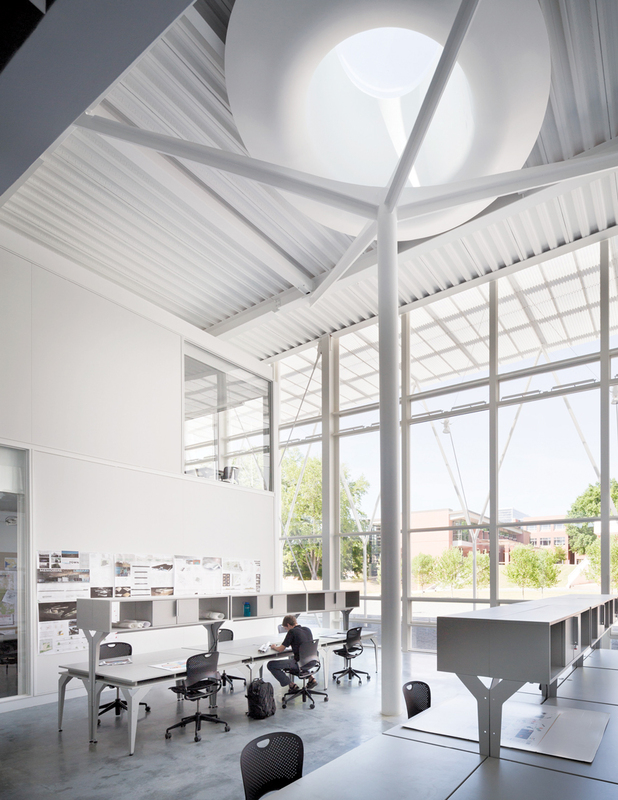 This addition to the College of Architecture, Arts, and Humanities is a display of clarity between architecture and engineering, as well as an expression of fine craftsmanship. The 2016 AISC Code of Standard Practice, an approved ANSI document AISC 303-16, implements a defined approach to specifying AESS in the contract documents by using five categories (AESS 1, 2, 3, 4, and C) to differentiate levels of steel fabrication and erection (see category matrix and image chart provided later in course). As the numbers in this tiered system rise, the cost and time for fabrication and erection typically also increase. A similar approach was adopted in the Canadian Code of Standard Practice in 2009 with the CISC Code of Standard Practice for structural steel, seventh edition. Previous versions of the codes did not define the terms of AESS as distinctly, leaving room for interpretation and cost escalation. The 2016 document, AISC 303-16, may be referenced as a standard in contract documents prior to municipalities adopting it. The new guidelines establish the same level of expectations between designers, fabricators, and erectors for the visual appearance of architecturally exposed structural steel in the design. The category system provides architects with a method of articulating AESS on their projects with a much clearer understanding of deliverables. In any project using exposed steel, it is fundamental to determine if structure requires additional architectural treatment in the design. As fabricated, exposed structural steel often suffices as an appropriate level of finish for a project without special requirements. Architecturally exposed structural steel (AESS) inherently means the steel is handled with substantially more care and is given a higher level of finish during fabrication and erection. The key to specifying AESS is to base it on the visibility and prominence of the exposed steel. 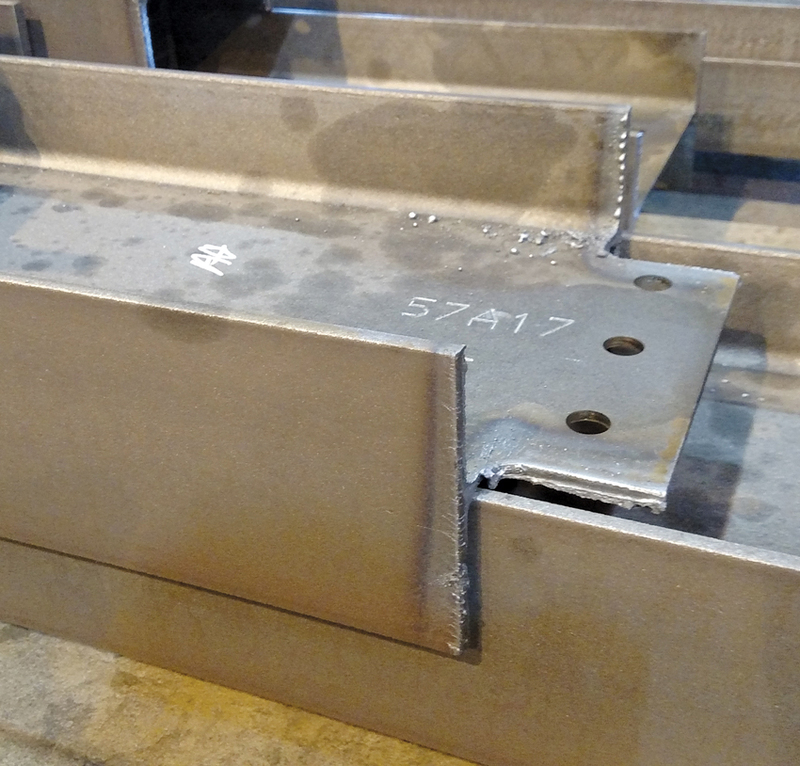 Pictured is a steel beam, recently cut to size and the ends coped per the standard requirements of the AISC Code of Standard Practice for structural steel. The edges have not been ground smooth. Etched numbers and heat marks are visible from the fabrication process. This member is not specified to meet AESS finishes.